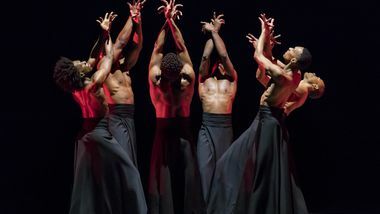 Robert Battle’s The Hunt premiered on Alvin Ailey American Dance Theater in 2010 as Mr. Battle’s first ballet set on the Company after it was announced that he would become the third Artistic Director in Ailey’s history. 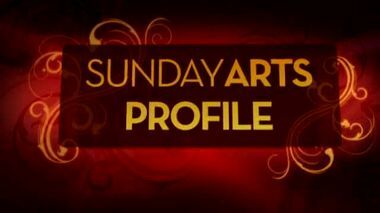 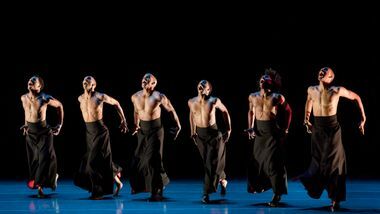 Inspiration for the piece was derived from Mr. Battle’s background in martial arts. 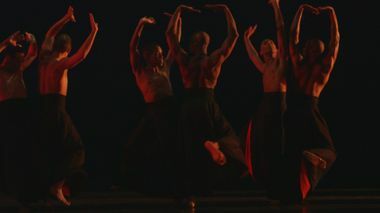 Replicating the intensity, skirted costumes and combative stances of the art form, the dancers take you inside a spirited ritual preparation for the hunt that tests their physical limits. 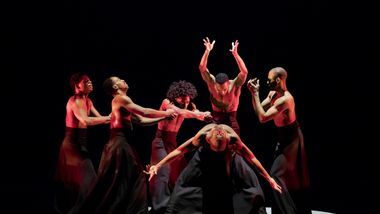 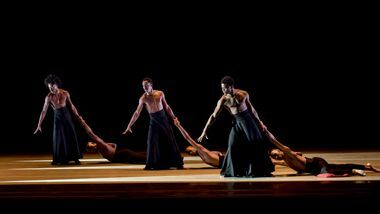 Battle notes that The Hunt shows the versatility of the Alvin Ailey American Dance Theater, while celebrating the masculine and powerful sides of the Company’s male dancers.